Weddings can be beautiful, exciting, and pretty easy in Tampa Bay, Florida. 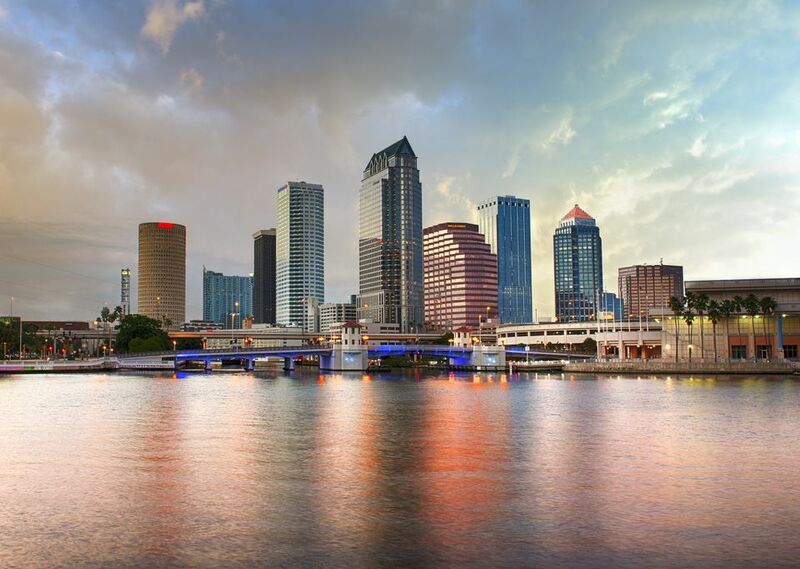 Tampa Bay has some beautiful vistas, scenic parks, and the sunsets are breathtaking along the intercoastal, or you might want to consider an exhilarating wedding in lushly landscaped Tampa's Busch Gardens. No matter the spot, learn the easy steps to getting a marriage license and tying the knot in the Tampa area. To get a marriage license in Florida, all you need to do is fill out an application form, provide your identification, and pay a fee. The legal age to get married is 18. There are some allowances that can be made for marriage at age 16 or 17. The two people who are getting married must apply in person together at the county clerk's office. Valid forms of identification include a driver's license, state ID, military ID, or passport. U.S. citizens need to provide their Social Security Number. Non-citizens may submit a Social Security Number or an Alien Registration Number issued by the U.S. Citizenship and Immigration Services. As of 2018, there is a nonrefundable fee for the marriage license and the fee is reduced to for residents who have completed a premarital preparation course. When Is the License Valid? If you have completed the premarital preparation course with a qualified registered provider you can use the license to get married right away. For everyone else, there is a three-day waiting period. After the license is validated, you have 60 days in which to get married. If you are both non-Florida residents, there is no waiting period, but you are required to read the "Florida Family Law Handbook." If one person is a Florida resident, then the three-day waiting period applies. "All regularly ordained ministers of the gospel, elders in communion with a church, or other ordained clergy. All judicial officers, including retired judicial officers, Clerks of the Circuit Courts, and public notaries of this state. 'Quakers,' or 'Friends,' may perform marriages in the manner and form used or practiced in their societies. Captains of a ship, if the captain is a notary and the ship is in Florida waters, which is within three geographic miles from the coastline at the time of the ceremony. " If you choose to get married in the clerk's office, you can during regular work hours for an additional fee Monday through Friday. No appointment is necessary. Where Can I Sign up for the Premarital Course? If you take a 4-hour premarital course​ by a Hillsborough County-registered premarital course provider before you apply for your marriage license, there are a few benefits. The course can help get you prepared for marriage, give you a discount on your Florida marriage license, and eliminate the customary 3-day waiting period. The premarital course counselor is usually a psychologist, clinical social worker, marriage and family therapist, mental health counselor, or a member of the clergy. Topics discussed include conflict management, communication skills, financial responsibilities, and children and parenting responsibilities.